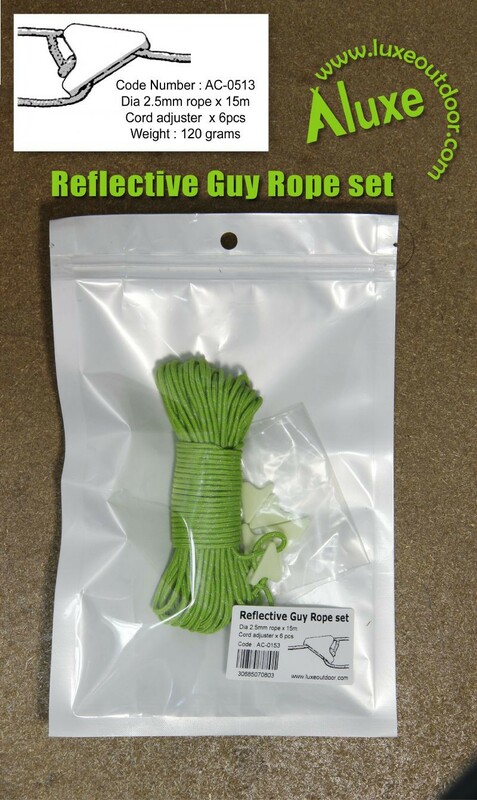 Reflective Guy Rope Set. 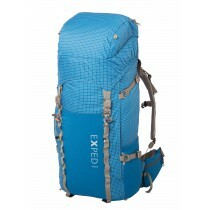 Dia 2.5mm rope x 15m. 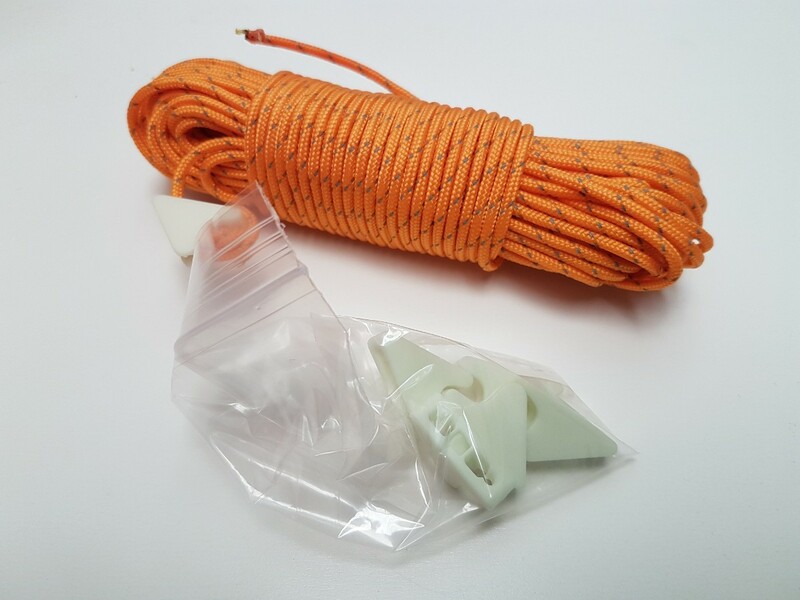 Cord adjuster x 6pcs.